How is it for you to sit still with your conflicted heart, enmeshed and torn by desire and longing for things you do not have? Can you stay with your wounded heart until your mind stops trying to analyze and understand? Can you trust as you surrender into the silence? Will you discover tender compassion for yourself in your own suffering? warm and moist, where you hurt the most? It is not too late to join us. Don’t worry. You will fit right in! Call or email to let us know you are coming so we have enough cookies. I am teaching a five week class on contemplation, Prayer of the Yearning Heart. It is a great help to practice contemplation in a group. Come sit with us a spell and let peace creep into your heart. We don’t teach meditation to the young monks. 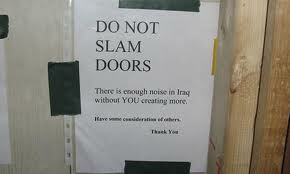 They are not ready until they stop slamming doors. – Thich Nhat Hanh to Thomas Merton in 1966. The Anglican priest across the table thought for a moment before he responded to my question. I was trying out my idea of a life and ministry focused on prayer. This man and his wife had formed contemplative communities in India and Hong Kong. “What suggestions do you have for me, a Presbyterian minister, about how I could do this?” I had asked, not even sure what I meant by a life of prayer. From birth to death faith development moves us toward deeper maturity. Followers of Jesus build strong, resilient, resourceful, creative lives through periods of doubt, struggle, disillusionment, and loss. Our life in God teaches us how to take responsibility for our inner lives – the anger, resentment, bitterness, sorrow, envy, and greed – whatever may be blocking the flow of grace in and through us. To take responsibility for our own attitudes, emotional states, opinions, and behaviors is to stop slamming doors or punching holes in one another. Mature souls require time to ripen and the ability to tolerate the slow pace and periods when it seems nothing positive is happening at all. Such maturing requires us to look inside, to notice what is there, and to be present to what is so in our hearts moment by moment. In this process of looking we wake up to what is true and real, beyond our drama, blaming, projecting, judging, and attacking. We begin to love ourselves, God, and others more fully and freely. This looking inward with awareness and compassion is called contemplation in the Christian tradition. Here we discover that the realm of God is within us, as Jesus told his friends. The practice of contemplative prayer or meditation grounds and fuels our awakened compassion and love, as we carry the fruit of our practice into the world with acts of justice, mercy, creativity, beauty, and courage. Little seems more important to me than this work of opening our eyes to what is true and real. Our awareness is nurtured by noticing and appreciating the myriad miracles, which surround us each day. A few minutes of silent communion with the Giver of these gifts heals, soothes, brings insight, and draws us into Love’s embrace. Instead of our conflicts, trials, suffering, and confusion overcoming us, they become the curriculum in the school for our soul. Our teacher is the Spirit in our times of attentive listening and contemplation. As we keep showing up for class, little by little, we are freed and transformed in Christ. This lent I will be continuing and adding to a series, Love in Small Doses, which I first posted in 2013. These are short poetic takes on the themes and scriptures of lent. Each post will invite you to savor, slow down, or be still for a moment. Teachers need to know how to educate for contemplation and transformation, if the earth is to be nurtured, if people are to be delivered from the scapegoating oppression of all kinds of violence, and if humanity is to fill its role in ushering in the next era of life on earth. This may be the most basic challenge of religion today: not sexual mores, nor bioethics, nor commitment to justice, not dogmatic orthodoxy, not even option for the poor and oppressed nor solidarity with women, but education for a transformative contemplation, which would radically affect human motivation, consciousness, desire, and, ultimately, every other area of human life and endeavor. I look forward to our lenten journey together and the changes we discover along the way. BTW: You can do this. I am an old monk and still slam doors from time to time. Topeka Area Readers Please Note ! 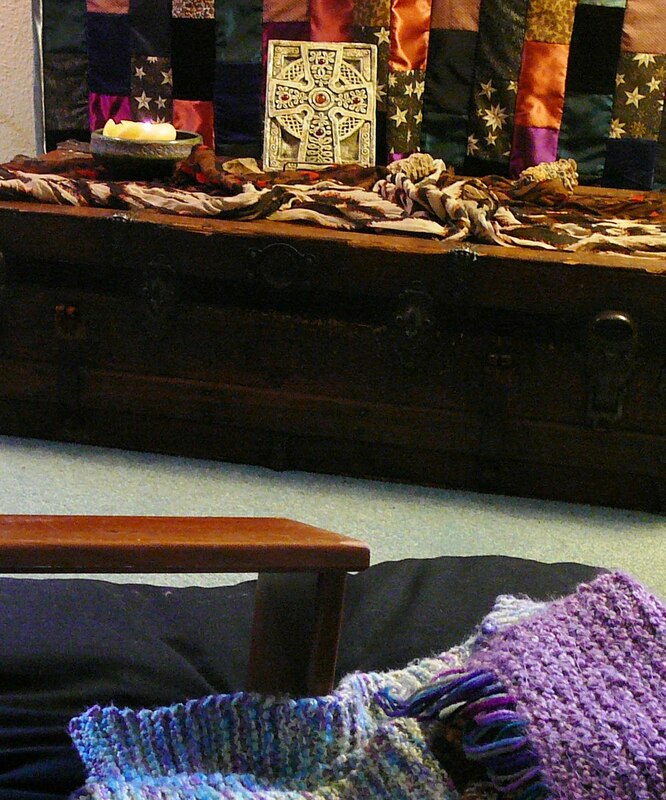 Want to learn to MEDITATE or approach scripture from a PROGRESSIVE PROSPECTIVE? Here are two FREE options to deepen in the SPIRIT this year during Lent. Sign up and RSVP for classes! I will be teaching the five week class on contemplation, Prayer of the Yearning Heart. Rev. Joshua Longbottom will be leading a study of the gospel of Mark from a theologically progressive perspective. It is a great help to practice contemplation in a group. I hope to see some of you there! If silence is not your thing, dig into Joshua’s class on Mark. I promise that it won’t be dull. You will definitely see things from a new perspective!